An abbey with a long and rich history. 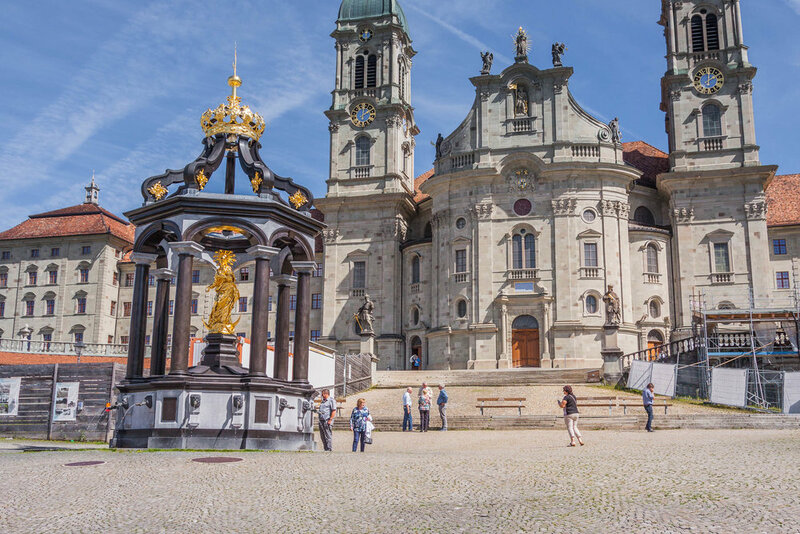 Nestled at the foot of a hill, Einsiedeln stands out as an imposing structure that overlooks the rural landscape and the town of Einsiedeln. Alone the facade in the Baroque style are going to impress any visitors when they stand at the foot of the churches entrance square. Einsiedeln is in it's essence a micro city with its own workshops, gardeners, forestry department with sawmill and an separate administration department. Alone the maintenance workshops employ a number of different skills that include, bookbindery, electrical workshop, painting, masonry, sanitary workshop, smithy, joinery and stone sculpture. Added to this the monastery also has it's own winery with vineyards. And to top it all off a stable for it's own horses. All these skills have very little to do with the real purpose of the monastery which is, to promote the Catholic teachings and other monastery services. The monastery grounds are open to the general public and are free of charge. The gardens and different courtyards that surround the main building are well maintained. However they do not reflect what's on the inside other than the main entrance with it's splendid Baroque facade and large open square. 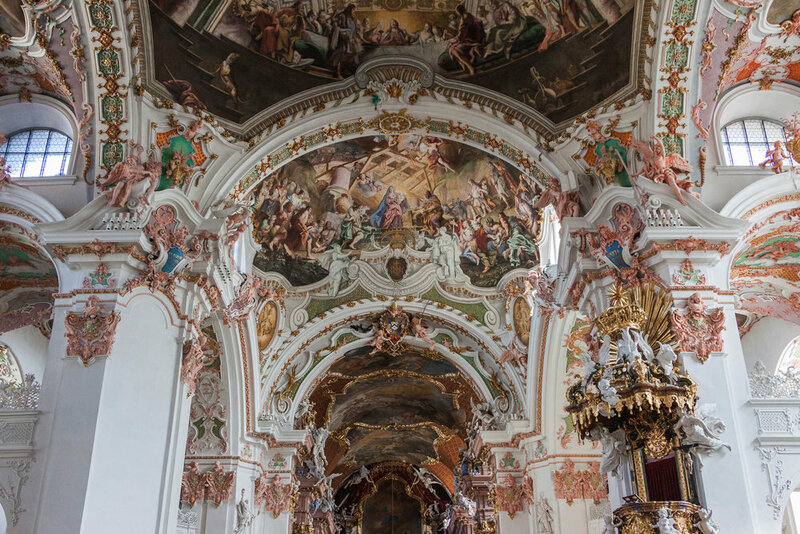 When you enter through the main doors, the interior of the churches Baroque style comes to it's full. The church is decorated and painted from floor to ceiling. However there is still an airy feeling to the interior and when the sun shines in the place feels even more breathtaking. There are guided tours of the monastery that also include the library. These tours take just under two hours. 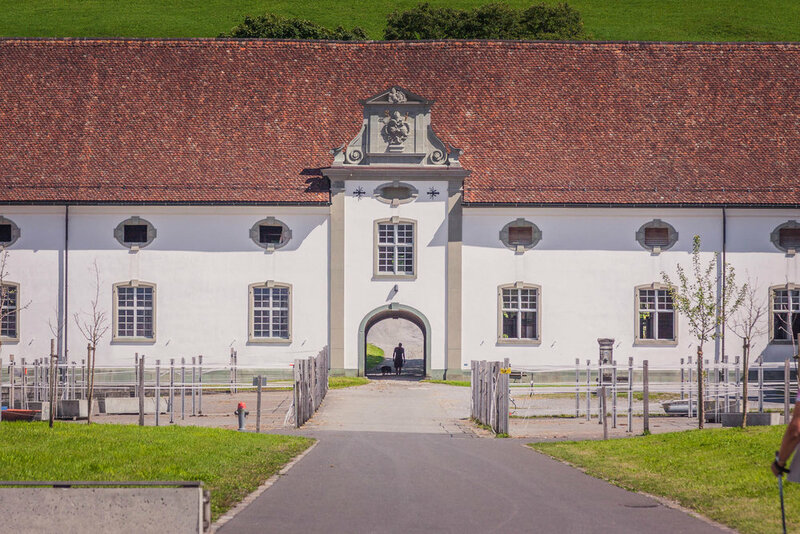 You can book a tour at the Einsiedeln Tourismus website. All the details for visiting hours and prices are there. 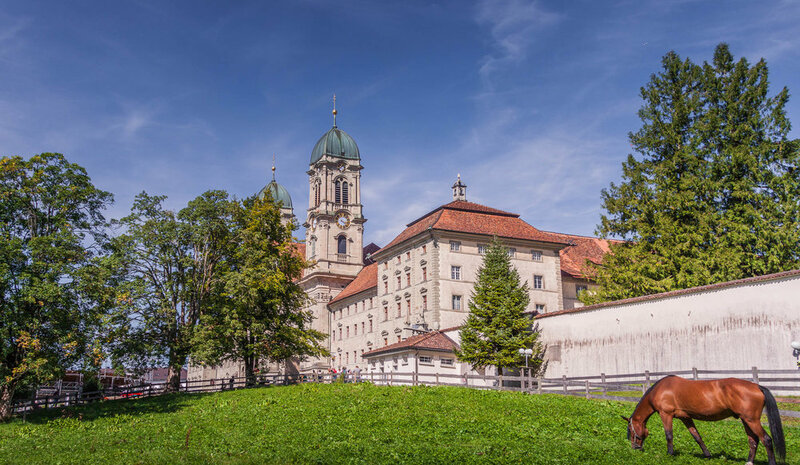 Einsiedeln Abbey is a Benedictine monastery in the village of Einsiedeln in the canton of Schwyz, Switzerland.